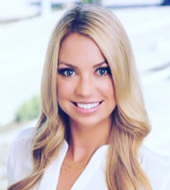 VIA Technical announces that Jessica Bailey has been promoted to an Account Manager, while also maintaining her current role as a Lead Technical Recruiter. Jessica has been instrumental in building out new accounts that we have established over the last few years. She has been heavily involved in the success by learning about the company, understanding the culture, knowing every detail about the projects and technologies, working with the hiring managers, and maintaining an ongoing relationship with the client. Our success in key accounts was driven by Jessica’s determination to come through and deliver the very best talent San Diego has to offer. She is relentless in her pursuit to fulfill a position for a client or build a team for a new start-up company. Beyond her ability to consistently fill some of the toughest job orders and also manage client accounts, Jessica has shown a consistent and strong work ethic, and motivation to be the best in her field. She has set the bar high and we are beyond thankful to have her be a part of the VIA Technical Team!